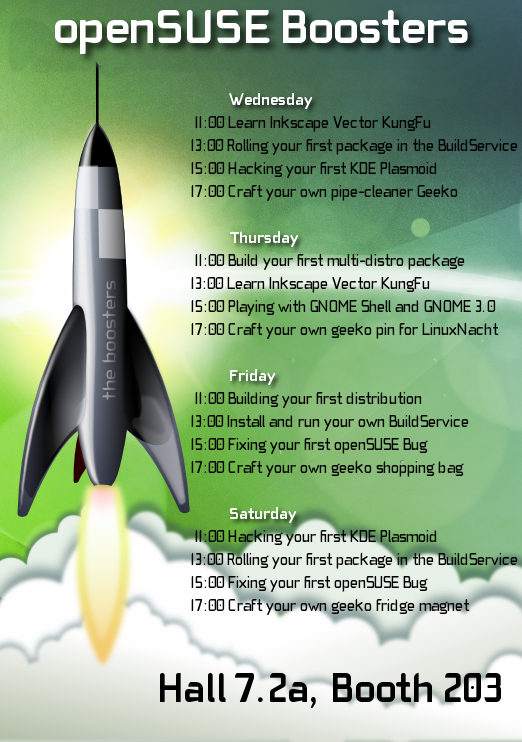 LinuxTag is starting tomorrow. Swing by Berlin and get a lift from the openSUSE Boosters. « openSUSE Weekly News, Issue 126 is out! I like this type a conference, thanks for the notice. Is it just me or the rocket on the poster is a slightly altered V-2 aka Vergeltungswaffe 2 ? Can we have the videos of the event too..